Rob-New moon. . HD Wallpaper and background images in the Robert Pattinson club tagged: robert pattinson robert pattinson twilight actor movies new moon. 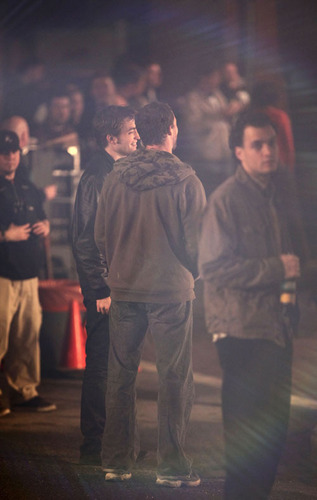 This Robert Pattinson photo contains feu, flammes, enfer, and inferno. There might also be concert, signe, affiche, texte, tableau noir, tableau, affiches, rue, scène de ville, milieu urbain, ville, scène, urbain, cadre, and mise en scène de rue.